The Mercedes A-Class began life as the ‘entry level’ Mercedes and whilst this is still technically true there’s very little about the latest iteration which feels basic or second best. It’s quickly become a favourite of company car drivers and fleet managers alike, offering both the prestige of a Mercedes-Benz and the low running costs commonly associated with superminis and compact family cars from other brands. Fleet managers will also love Mercedes-Benz’s reputation for reliability and high performance. Nevertheless, no car is perfect for all drivers and it’s still worth taking a look through reviews before making a decision. To help you out we’ve cast a fleet manager’s eye over the latest Mercedes A-Class reviews and highlighted the parts which will be of particular importance to fleet managers and company car drivers. The Telegraph wasn’t blown away by the Mercedes A-Class. The newspaper praised the Mercedes as a good, stylish looking car but criticised its suspension as too firm and complained that entry level models were not fun to drive. From a fleet manager’s perspective the review praised the basic equipment on all models of the Mercedes A-Class but pointed out that some rival cars offered greater fuel economy. That said however the vehicle falls into a low company car tax bracket, something that’ll definitely appeal to your finance directors! 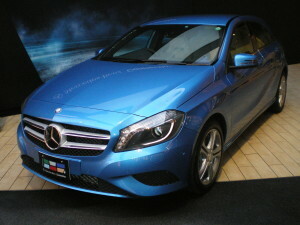 AutoExpress was rather more taken with the Mercedes A Class and awarded the car 4 stars. Particular praise was lavished upon the car’s looks (a serious improvement over the original A Class) and the clever technology available onboard, even in the entry levels models. Importantly the review awarded the car 4¼ stars for reliability, making it a safe choice for your road warriors! Top Gear was also rather keen on the Mercedes A Class and awarded the vehicle 8/10, noting that it could be the vehicle to turn around Mercedes-Benz’s fortunes. They particularly appreciated the design, seeing it as a major upgrade over the previous, boxier A Class. They also praised the car as a good meeting point between practicality and fun, something which should keep all of your drivers happy. Mercedes-Benz C-Class – is this a company car for Fleet Managers to consider?